After defeat in T20 and ODI series against Australia and then lots of internal Issues of Pakistan cricket we finally got a good news today from Dubai that Pakistan has defeated Australia in 1st test match by 221 runs. 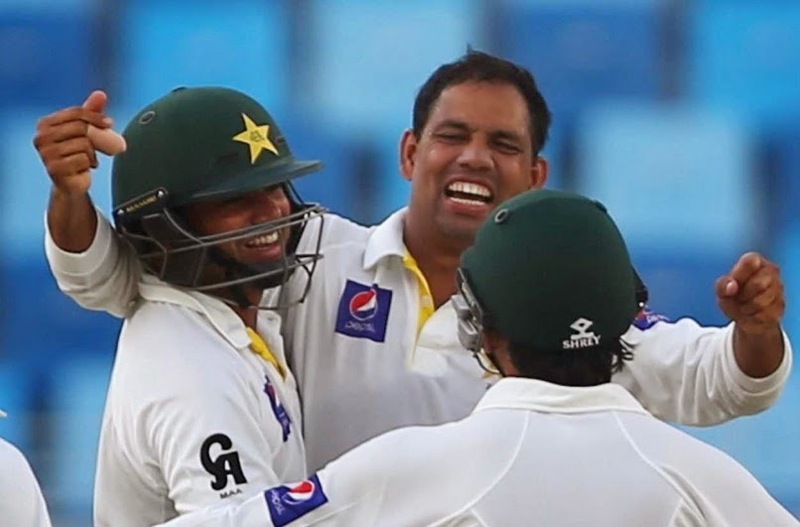 we seen lots of great performances by Pakistani batsmen and bowlers in the test match which resulted in this victory. Two centuries by Younis Khan and one century each by Ahmed Shahzad and Sarfraz Ahmed helped Pakistan to score big total. Young Pakistani bowlers Yasir Shah, Imran Khan and Zulfiqar Babar also bowled very Impressively. we can call this victory a joint effort of bowlers and batsmen despite the absence of Saeed Ajmal. Second test match will be played from 29th October in Abu Dhabi. it will be the last International match will Pakistani team will before World Cup so they will try to give their best. a victory or even a draw will give series win to Pakistan. Performances in this series will also help the selectors to decide the squad for World Cup 2015.